Armenian national soccer team head coach Varuzhan Sukiasyan has published the list of 11 players performing for foreign clubs who will be invited for upcoming friendly matches against Guatemala and El Salvador. The two games are to be played in Los Angeles, USA, on May 28 and June 1. Among the players who will be preparing for the matches are Henrikh Mkhitaryan (Borussia Dortmund, Germany), Aras Ozbiliz (Rayo Vallecano, Spain), Marcos Pizzelli (Al-Raed FC, Saudi Arabia), Gael Andonian (Dijon, France), Edgar Manucharyan (Ural, Russia), Artur Sarkisov (Volga, Russia) and a number of other players representing clubs from Iran, Macedonia, Russia and Ukraine. The list of players representing the Armenian championship is expected to be published later. Under recently appointed coach Sukiasyan Armenia has already played one friendly game as part of preparations for a World Cup 2018 qualifying tournament commencing in September. 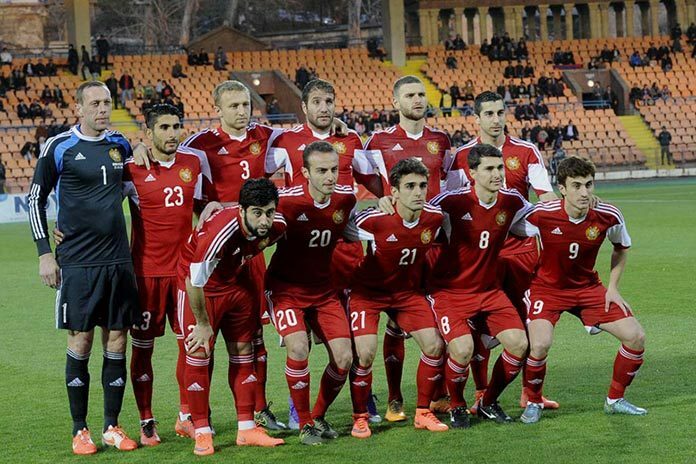 Armenia and Belarus played a goalless draw in Yerevan on March 25. Armenia is 110th on the FIFA current global rankings. Its next rivals Guatemala and El Salvador are ranked 89th and 98th, respectively.